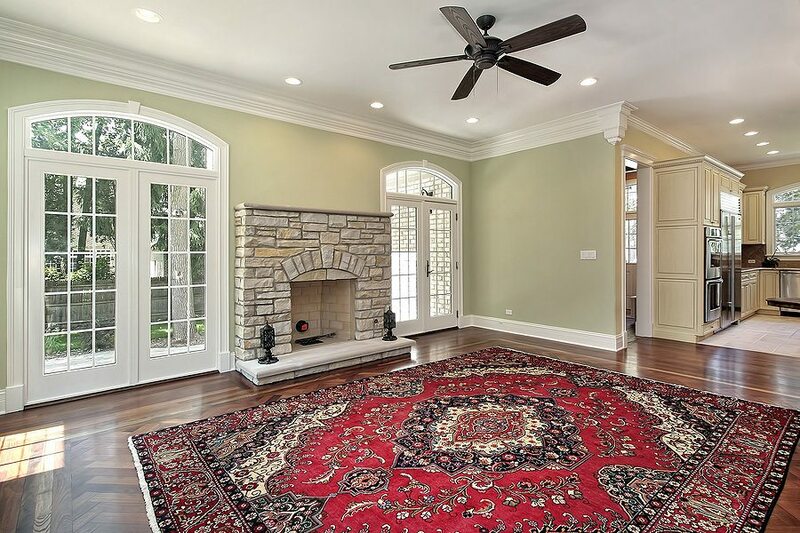 Oriental rug cleaning, service is one of the many cleaning services provided by Ultra Clean Floor Care. At Ultra Clean Floor Care we view every rug as a piece of art that must be treated carefully. With the help of our army of satisfied clients, we were able to build strong reputation in the Dallas area and we are slowly establishing ourselves as one of the leading names in the world of cleaning in Texas. Our outstanding reputation is based on our ability to deliver detailed cleaning and maintenance services. Our Oriental rug cleaning service will make your feel special not only because your rug will be cleaned perfectly, but also because we tend to build strong relationship with each of our clients, something that you can’t expect from large companies. 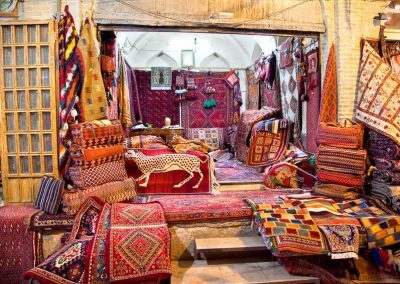 Your special Oriental rugs are treated in a specialized area for rug cleaning with highest level of cleanliness and organization that covers about 2000 sq. feet. 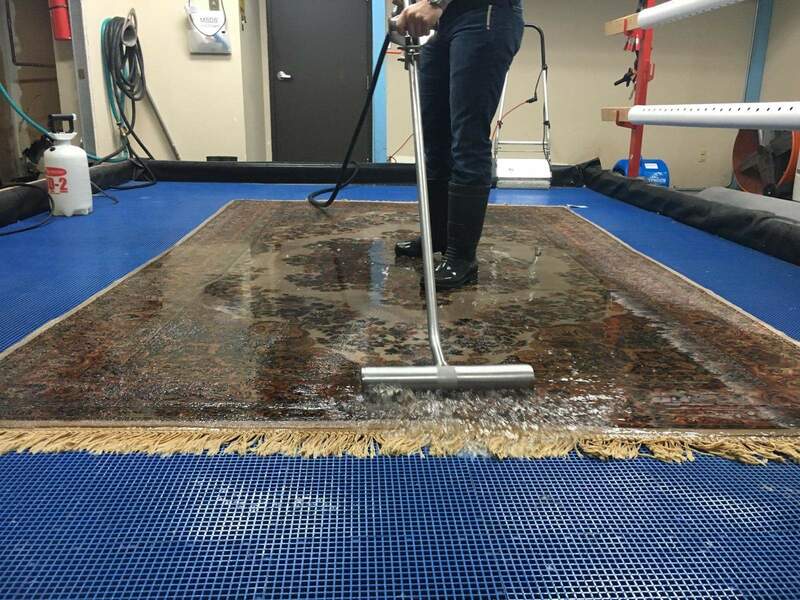 While it is true that onsite rug cleaning is faster, it is also true that the conventional method of cleaning that Ultra Clean Floor Care practices is much safer, more thorough and more efficient. Many people turn to Ultra Clean Floor Care because they have heard about our unique 8-step rug cleaning procedure which relies on RugBadger Harmonic Dusting tools and equipment as well as the Centrifuge Rinsing and Drying Technology. 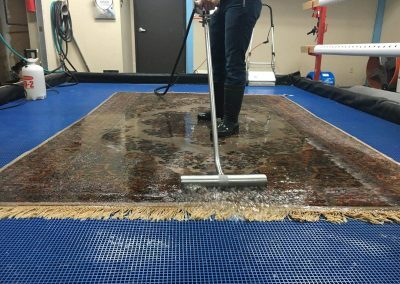 The process we perform for oriental rug cleaning invovles using a final rinse with soft water, unique pet odor and stain removal activities, sophisticated storage prep and delicate Oriental rug repairs if needs. 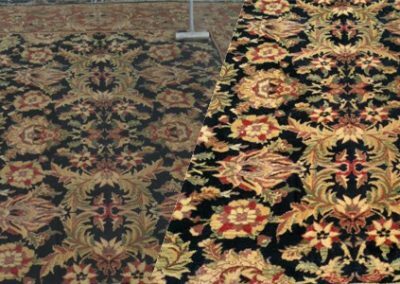 In other words, we have a team and equipment to manage specific and general oriental rug cleaning can maintenance needs and requirements. You can always count on Ultra Clean Floor Care when it comes to area rug cleaning! Ultra Clean Floor Care is a boutique rug cleaner and as such we want to make ourselves standout from the crowd of cleaners in Texas. So, besides the one and only manual cleaning service, we also offer free Pick Up and Delivery service. This offer is available to any household that is located no more than ten miles from the location of our facility. Ultra Clean Floor Care team will also move pieces of furniture that weigh 75 lbs/ max and what is even more important is that this free Pick Up and Delivery Service is available for any client who has selected a package worth at least $199. We have a very efficient pet odor treatment procedure that will make you forget the mishaps of your cure pet immediately. Just call our team and we will perform complete pet odor/stain removal. 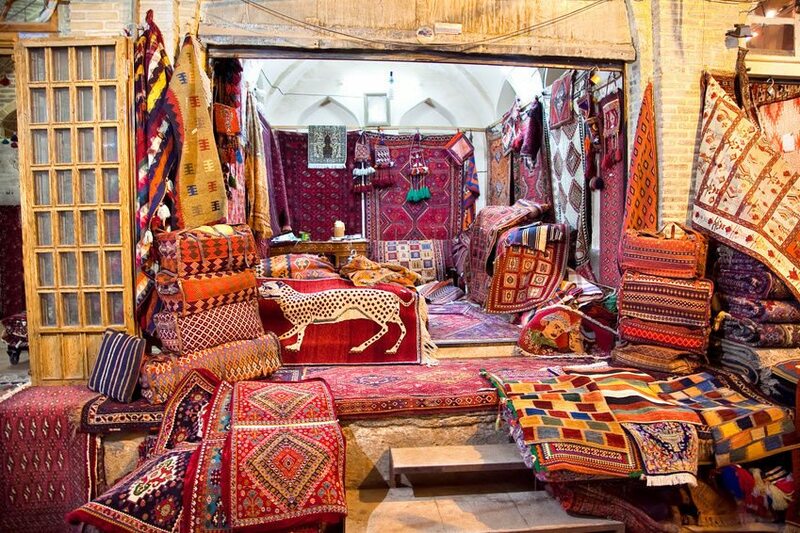 Moths can cause a lot of damage to your rugs. These small insects can enter the fibers unnoticed and make holes in the rug. Ultra Clean Floor Care uses special moth repel, so you can rest assured that everything will be fine once our team is finished. Once we clean your rug, we will apply moth repellent. With the help of this repellent, your rug will become an uncomfortable environment for moths. Of course, this doesn’t mean that your rug won’t need cleaning and regular care against moths in the future, but it sure reduces the chances of moths laying eggs in it. Keep in mind that the repellent we use doesn’t contain harmful toxins. Keeping the rug safe from stains is equally important as cleaning it. The majority of our respected clients are worried about the protective and safety finishes we offer because they think that these finished can reduce the value of their favorite rugs. Some finishes may be harmful, but we rely on ScotchGard brand for this purpose. With this product, your rug will continue to feel and look the same. This is by far the best product for this purpose on the market and that’s why we are using it. A pre-inspection is performed both in your home and in our facility in Dallas to determine your rugs pre-existing conditions, it’s fiber make-up, potential color migration risk, general cleaning concerns, and appropriate cleaning methods. A thorough dusting is performed using compressed air and mechanical harmonic vibration machines such as a rug badger that removes up to 95% of the of dry soil and particulates which simply cannot be removed by regular vacuuming. After a technician has thoroughly washed the rug to ensure all soiled areas have been meticulously cared for, he then runs your rug through two consecutive back-to-back rinse phases to ensure all cleaning agents have been removed. The facility manager will next perform a meticulous, inch-by-inch, post-cleaning inspection of your rug. If the manager feels that any area can be cleaned further, your rug will be sent back to beginning of step 1 to begin the full process once more. After the facility manager has approved your rug, a product called encapsulation is then applied. This product is plant-based and forms a microscopic crystal barrier around each fiber to add extended soil repellant and fiber protection. Pet Soak – $1.00/Sq. Ft.
Moth Protection – $0.50/Sq. Ft.
*Free pickup, or billed pickup, is limited to a 10 mile radius of zip code 75237. Billed rate for additional mileage thereafter is $2/mile (subject to change with fuel prices). No guarantee can be provided for specialty stain removal as some stains are or may become permanent over time. 100% guaranteed pet odor removal is subject to pre-inspection and worthiness of the rug being cleaned. If the rug is too delicate for standard cleaning it will not qualify for a proper pet soaking, which in turn negates the 100% guaranteed pet odor removal. Because pet stains and certain specialty stains are acidic in nature Ultra Clean Floor Care is not responsible for “dye migration” or “bleeding” on rugs which have been exposed to any of these stain types. Ultra Clean accepts no responsibility for damaged rugs except in cases where gross negligence has occurred on our behalf. At it’s sole discretion, Ultra Clean may choose to refund monies paid for the outlined services in such cases. Ultra Clean offers moth repellent which essential makes the wool or other natural fiber sour to taste for moths. It is not a “moth-proofing” agent as no such product exist. Ultra Clean offers moth remedy treatments for active infestations, but is not a pest control or extermination service. All materials are guaranteed to be as specified. All work has, or will have, been completed in a substantial workman like manner; per standard practice. Any alteration or deviation from the noted specifications involving additional or reduced cost will be executed only upon written orders, and will become an extra or lesser charge over-and-above this Agreement. All Agreements are contingent upon strikes, accidents, or delays beyond our control. Property owner is to carry necessary insurance. Ultra Clean will take/use before & after pictures of all items to be cleaned prior to commencement of work. These pictures will have no mention of names or address’ and are used for documentation and marketing purposes only. Storage fees will be charged on any rug, non-deliverable, within 15 days of completion unless otherwise agreed upon. Ultra Clean is not responsible for defects or pre-existing conditions that may not be seen or shown and which appear during cleaning. We reserve the right to adjust all proposals given by phone to comply with the physical inspection. Ultra Clean is not responsible for shrinkage of rugs or white knots on Orientals. All sizes are approximate. Urine contaminated rugs are at high risk for dye migration and are therefore considered to be a “salvage cleaning”; releasing Ultra Clean from any and all liability. Ultra Clean makes no guarantees of the performance of ScotchGard only that it was properly applied and is a genuine ScotchGard brand fiber protector. ANIMAL AND DYE STAINS ARE PERMANENT. ULTRA CLEAN FLOOR CARE IS NOT RESPONSIBLE FOR ANIMAL HAIR, FUGITIVE DYES, DRY ROT, ODOR, IRREGULAR SHAPE, “PAINTED RUGS” OR ROTTEN FRINGE.